Did you know that 15 million Americans and 17 million Europeans have documented food allergies? Furthermore, did you know that the number one reason for food recalls in the U.S. is because of undeclared allergens? And that these recalls often average a $10 million price tag? It is beyond important to optimize your Allergen Control Program. The Food Safety Modernization Act (FSMA) has taken the food industry by storm, and the good manufacturing practices (GMPs) receiving the most emphasis have been—you guessed it—allergens. With so many moving pieces, it's difficult to have a clear and optimal picture of your Allergen Control Program. 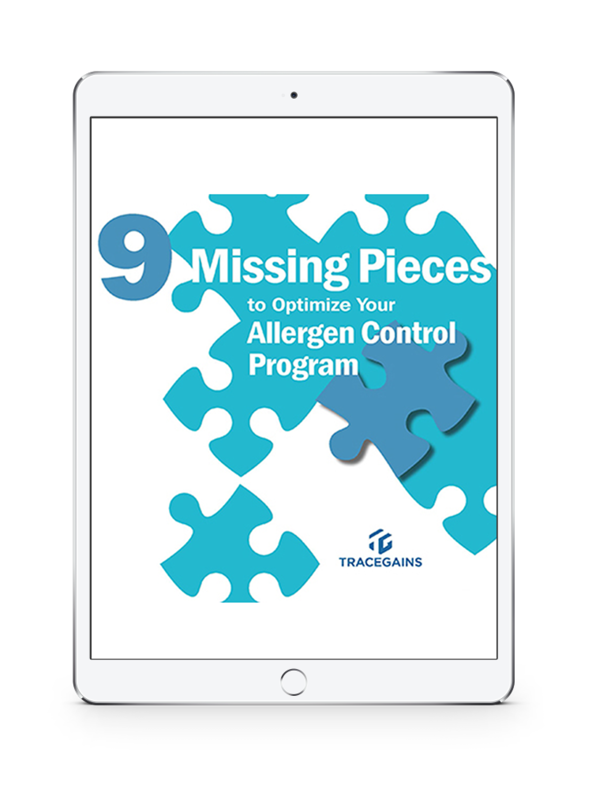 TraceGains and AIB International have joined forces to produce "9 Missing Pieces to Optimize Your Allergen Control Program," a practical eBook that can finally put your allergen control puzzle together.